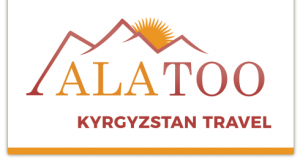 Ala Too Travel offers sustainable tourism. Within our tours we work as close as possible together with the local people. This way they will be provided of an extra income of which the whole family will benefit. Moreover, during the planning and execution of our tours we strongly put attention in minimalizing of environmental pollution. "WE EXPLORED THE NATURAL WONDERS OF THIS REGION, INCLUDING WATERFALLS, HOT SPRINGS, AND NOMADS' SUMMER CAMPS. I'LL LONG REMEMBER THE GENEROUS HOSPITALITY OF THE KYRGYZ PEOPLE."